Tooth mobility is one of the important reasons prompting patients to seek dental treatment. Because of poor oral hygiene, a thick and sticky layer of bacteria known as plaque can accumulate around teeth and later harden to become calculus. 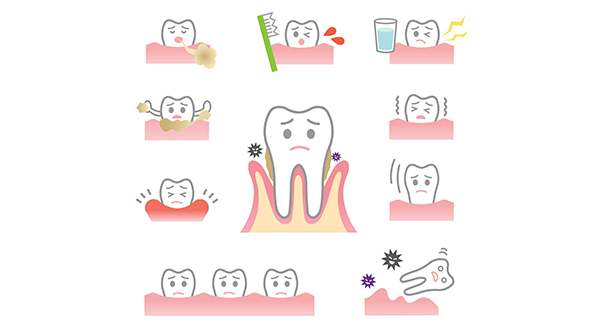 The advanced stage of the gum disease is called periodontitis which can significantly damage teeth, gum and the bone which supports the teeth. If the periodontal disease is not treated at an early stage, it can lead to loss of underlying bone and eventually make the teeth mobile. Osteoporosis is a common disease can affect both men and women. During osteoporosis, the bone loose minerals like calcium or vitamin D, which in turn makes the bone brittle and fragile. Any injury to bone or teeth can lead to the mobility of the teeth in that vicinity. an lead to mobility of one or more teeth depending upon the severity. Cysts, tumors or any other deformity of the jaw can lead to mobility of one or several teeth. During the pregnancy in some women, increased level of hormones progesterone and estrogen can have consequences on the bone around the teeth and may cause teeth mobility. At Normanhurst Dental, we examine our patients regarding the mobility of teeth and advice the management for the same at an initial consult. Call us on 9989 8565 or book online at www.normanhurstdental.com.au to arrange for a check-up for your teeth.